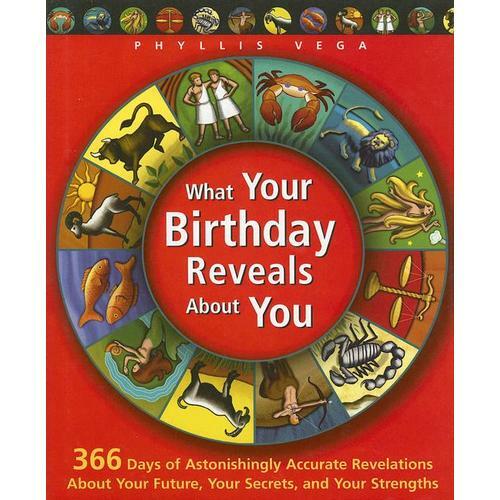 EPIPHANY: Astrology is true! It can provide the answer to all of life's questions! Horoscopes, stars, Zodiac signs- it is all true! My epiphany came yesterday after my last class had gone home, and I was left cleaning up the pig sty of a classroom that my precious students leave me on a daily basis. Seventeen year olds are not clean. No, not in any form of the word. I was picking up the stuff they had left lying on the floor when I came upon a book , What your Birthday Reveals About You. Naturally, I was curious. I picked it up. I flipped to my birthday. The description of my birthday started off, "The quick-witted, intuitive crab" Well! They had certainly nailed that one on the head! I could tell I was going to like this. The description went on. "Emotionally approachable": Why, yes, I like to think so. "You enjoy talking about feelings and ideas, and you encourage others to share theirs with you." YES! "You possess a mentality that combines curiosity with a prodigious memory, making you an excellent student and teacher." YES! Oh my goodness' sakes, I AM A TEACHER! And I have always had a creepily good memory. "You want to find satisfying ways to fulfill your creative potential." Case in point- this blog. "You like taking financial risks, but your shrewdness with money usually protects you from foolhardy mistakes." One word. Coupons. If that ain't shrewdness, I don't know what is. "Socially you are outgoing, charming, and personable." YES! "You are subject to mood swings." Well, geez, I didn't know we were bringing that into it, but I guess I'll confess it if I have to to prove my point that this book is truer than true. Imagine my complete befuddlement after having read this incredibly accurate description of myself in a random book left in my classroom. It was completely on, point after point after point. Could magic be real?!?!? I was about dang near converted, but I needed a second witness, afterall. I would have to test another date. What person do I know best besides myself? Hubs! "Family-oriented, hard working." Yep. The two most important things to Hubs are family and work. "You're drawn to everything that is peaceful and beautiful." Well, he married me, didn't he? Here's the super freaky one: "You are appreciative of, and possibly gifted in the musical, dramatic, and literary arts." HE'S A THEATRE MAJOR FOR CRYING OUT LOUD. "Although you are ambitious and determined to "make it" professionally, people mean more to you than material things." Yep. Hubs always puts the people (like me!) first. And yes, he is quite determined to "make it" professionally. "You are deathly afraid of hurt and rejection." Shhhhh. Don't tell Hubs I told you this one, but it is totally true! He's a sensitive guy and fears rejection, even though he acts so mean and tough. "Your powers of observation make you especially well suited to an artistic or literary career." Uh... he wants to be an actor. Point. Proven. "At the first signs of trouble in a relationship, you may withdraw to the solitude of your crab shell." This is true. It might be TMI (too much information, and try to keep up with the acronyms, will you?) to innocent readers like yourself, but when Hubs is upset with me, he completely withdraws and doesn't want to talk about it until he's ready. After I read this description I was completely converted! HALLELUJAH! PRAISE THE STARS! I couldn't believe it. I could live my life by this book! And that's when I put my hand to my heart, stared at that big flag in my classroom and said, "I pledge allegiance to the Zodiac of the astrology and horoscopes of the stars..."
Quite patriotic, is it not? It's not easy converting to something so fully, but by golly, I'll do it! I have seen the light and there's no going back. Now, if you'll excuse me, I must go study my horoscope to see what the day holds in store for me. And if it says I need to go shopping tonight, I'll be going shopping tonight, gosh dang it!